The Americas’s Turning 7up typeface was developed from a rough sketch of that campaign theme line that was provided by N.W. Ayer, NY. 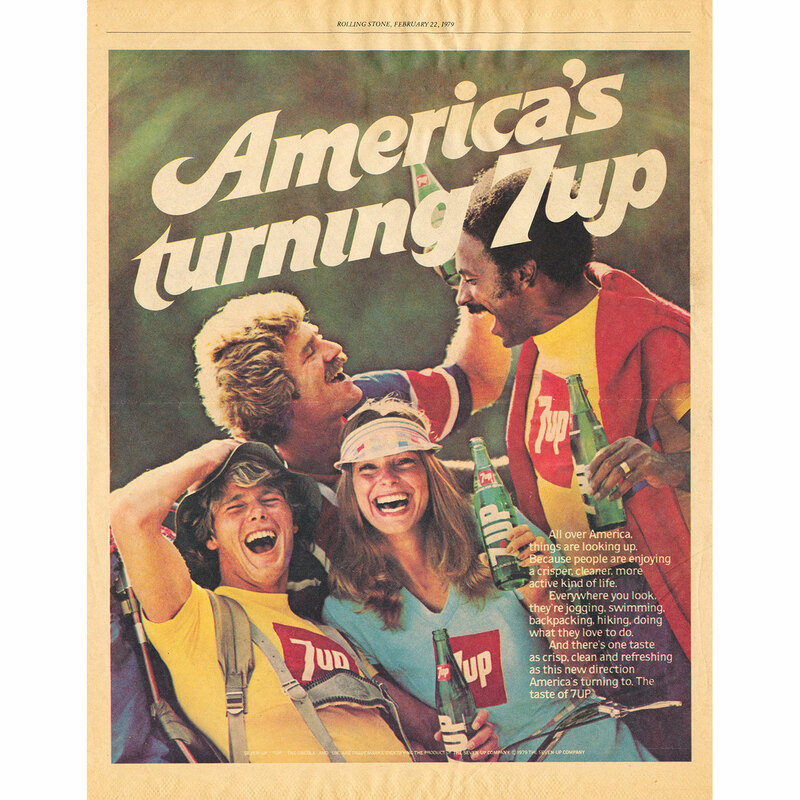 In 1978 I was hired by Stallone Typography Services in Philadelphia to refine that sketch, and to develop the entire font for the 7up campaign headlines.